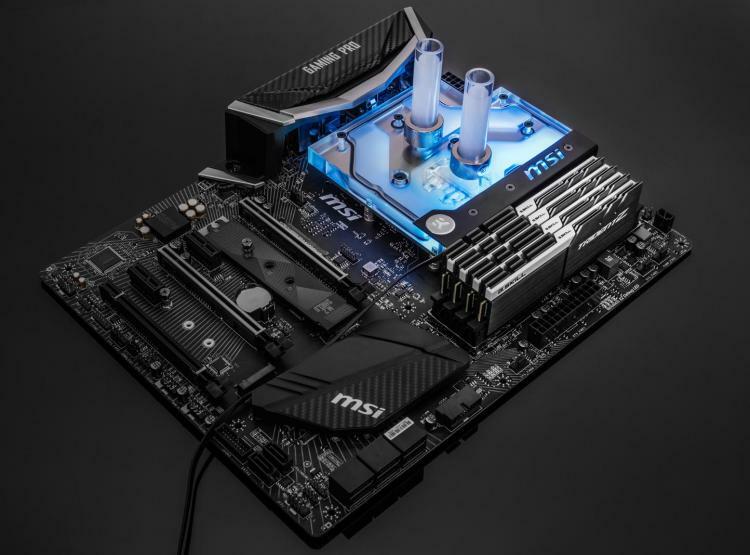 EK Water Blocks adds another RGB monoblock for one of MSI’s AMD X470 motherboards. EKWB releases the EK-FB MSI X470 Pro Carbon RGB Monoblock for the MSI X470 Gaming Pro Carbon motherboard. Like all of EKWB’s monoblocks, this is also an all-in-one liquid cooling solution for the AMD AM4 socket-type processor and the power regulation (MOSFET) modules found around the CPU socket. The monoblock comes with an integrated 4-pin RGB LED strip that’s compatible with the MSI Mystic Light Sync for synchronized RGB lighting with the motherboard. The monoblock is designed and crafted in collaboration with MSI to ensure compatibility. It features EKWB’s award-winning EK-Supremacy EVO cooling engine that delivers the best possible cooling to the processor. The EK-FB MSI X470 Pro Carbon RGB sports a high flow design that makes it efficient even with weaker pumps. The base of the monoblock is made of nickel-plated electrolytic copper while the top is made of quality acrylic glass material. The nickel plated brass screw-in standoffs are pre-installed and allow for easy installation. The EK-FB MSI X470 Pro Carbon RGB Monoblock is now available for pre-order at the EKWB webshop, shipping starts on July 23, 2018. MSRP of 119.95€/ $154.99USD.